Whether you’re a seasoned expert or looking to start a career in software development, it’s important that you’re always learning and keeping pace with the fast moving and ever changing world of software development. Luckily software development is a progressive industry and as a result there are a plethora amount of software development resources that allow developers and coders to acquire the skills and knowledge they need through any number of avenues, including traditional higher education programs as well as through coding academies, boot camps, online learning communities and more. Among the most popular options available to aspiring coders and software developers, software development courses such as coding academies and boot camps make it possible to acquire the skills needed to enter the profession through an accelerated educational program. Key Takeaway: Actualize promises to provide real-world experience through in-class instruction followed by a guaranteed apprenticeship of four months. Ideal for working professionals who wish to become a web developer while continuing to work in their current profession. Overview: Front-end development and UX/UI design serve as the primary areas of focus for DESIGNATION, an 18-week immersive web design program based out of Chicago. Key Takeaway: With a central focus on frond-end development as well as UX/UI design, DESIGNATION has created a collaborative environment in which creativity is emphasized for its role in creating not just good, but truly great design. Key Takeaway: An intense and immersive 12-week experience, Dev League promises that new software developers will be “dreaming in code” by the end of the program. Over the course of four individual program modules (foundation and core concepts; client-side UX development; server-side programming; and project architecture), Dev League aims to teach in 12 weeks what it contends would otherwise take seven years for a self-taught developer. Overview: Through two courses each lasting four months, Epicodus offers coursework focusing on Ruby, PHP, Java, C#, Rails, and Drupal while allowing students to create a comprehensive coding portfolio for future job-seeking purposes. Key Takeaway: Aspiring software developers are provided with what Epicodus calls a “flipped” classroom in which lectures are non-existent. Instead, “pair programming” provides students to collaborate with peers and spend all of the available class time on coding. Overview: A free coding academy based out of the United Kingdom, Founders and Coders features a 16-week program in which the first eight weeks involve full-stack web-development coursework. This initial portion of the program is then followed by eight weeks in which students work closely with professional mentors on external projects for which they are financially compensated. 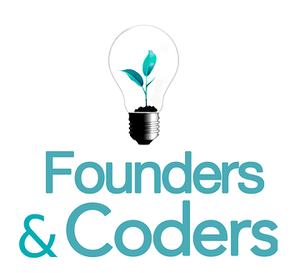 Key Takeaway: Students tend to rave about the transformative experience made possible through Founders & Coders, as the free program boasts a “collaborative environment and cutting-edge curriculum.” The program is peer-led, allowing students to manage projects and code reviews while also delivering seminars. Key Takeaway: Each of Hack Reactor’s four locations (San Francisco, Austin, Los Angeles, and New York), as well as its remote programs, provide an experience in which aspiring web developers are able to expect “life-changing outcomes.” The various locations boast high graduation rates ranging from 91 to 98 percent, and the average annual salary of program graduates is as high as $104,000 (San Francisco). 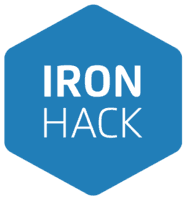 Key Takeaway: Ironhack’s intensive software development program clearly emphasizes the benefits of replicating the real-world environment in which graduates will eventually work. This real-world experience is accomplished through the use of projects requiring industry-specific tools and workflow processes. 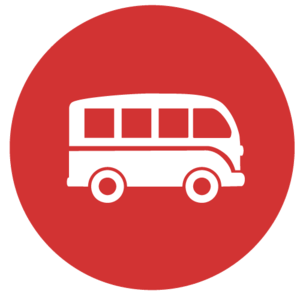 Key Takeaway: A challenging, immersive learning experience, Le Wagon believes its comprehensive approach is perfectly suited for creative individuals in need of the technical skills required of successful software engineers. Overview: Offering full- and part-time programs, Startup Institute’s courses focus on subjects like web design and development, digital marketing, and sales and account management. Key Takeaway: In addition to providing students with the skills necessary to excel in web design and development — along with many other critical subjects — Startup Institute’s programs also provides additional professional support for graduates once they enter the field. Overview: A full-stack web development program in both Java and .NET, The Software Guild is a 12-week program in which students can acquire valuable skills in SQL Server, MySQL, CSS, and HTML before entering the tech industry workforce. Key Takeaway: The Software Guild features experienced instructors and an extensive network of employers to go with the full-stack web development programs offered in Java and .NET. Some of the best coders and software developers offer access to their unique professional expertise through online learning communities such as the ones listed below. These supportive communities allow aspiring coders to ask specific questions regarding any coding or programming issue they might encounter. These communities also feature practical advice on a wide range of subjects while exposing newcomers to multiple perspectives and philosophies. The majority of these communities feature a question-and-answer format along with articles, tutorials, and other resources, all of which are of immense value to an aspiring coder or software developer. Overview: A guided approach to learning software development skills, Code Year makes it possible to acquire a basic programming skill foundation while building an interactive website. Key Takeaway: Code Year’s program design allows aspiring web developers to have access to support and guidance while learning at a pace best suited to their individual needs. Overview: An interactive setup enables aspiring coders to focus on acquiring the skills they believe are most instrumental in the achievement of their own individual goals. Overview: A robust online community featuring hundreds of thousands of registered members, Dream.In.Code connects experienced programmers and web developers with the goal of sharing relevant, detailed information with one another. Key Takeaway: With detailed programming tutorials, code snippets, and an active forum, Dream.In.Code is dense with information and is a vital free resource for any aspiring web developer. Overview: Through its hands-on, collaborative approach to education, Ladies Learning Code seeks to inspire women and youth to acquire a host of software development skills. A non-profit that got its start by providing workshops, Ladies Learning Code has since added a digital skills program lasting seven weeks. Key Takeaway: Ladies Learning Code hosts workshops and programs that are bot convenient and affordable, and its mission to shape digital literacy education is a noble pursuit that already generated impressive results. Overview: Processing Forum allows members to access a question-and-answer style forum covering all manner of subjects pertaining to software development. The format is straightforward and easy to use, making it simple for beginners to quickly find the information they are looking for. Key Takeaway: Individuals attempting the self-taught approach to learning software development can benefit from this exhaustive resource, especially by providing details describing their specific question or issue. Overview: An online teaching tool designed to introduce programming skills to beginners while also sharpening the skills of those with previous experience, Programmr offers a simple and straightforward learning experience covering just about everything an aspiring software developer should wish to know. Key Takeaway: Programmr is an enjoyable online education tool, and its comprehensive learning tools cover a broad range of subjects, including Ruby, SQL, C++, Python, C#, Java, HTML, CSS, PHP, and countless others. Overview: A question-and-answer community, Code Review Stack Exchange features a wide variety of topics, all of which are organized in a useful and accessible manner. This informative community is an excellent resource for aspiring developers as well as established software developers. Key Takeaway: Code Review Stack Exchange’s organizational system makes it easy for beginners to find the best and most relevant answer to a specific question, as the question-and-answer community allows members to vote for the best answer, thereby pushing it toward the top of the page. 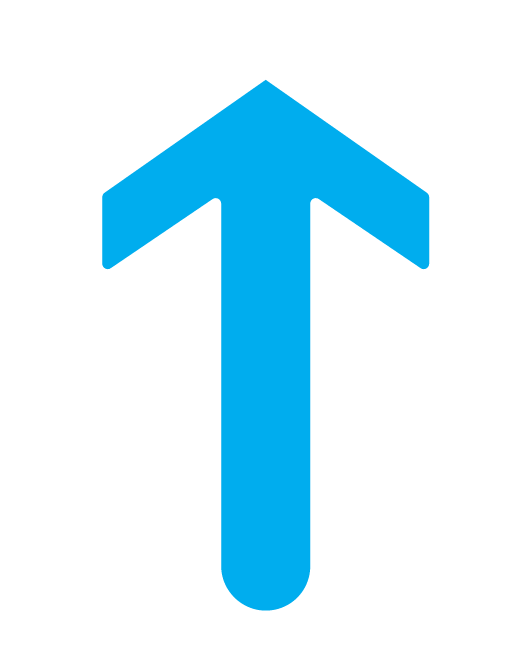 Overview: Part of the Stack Exchange network, the Stack Overflow community focuses on providing information relevant to web developers of all skills levels through its easily navigated question-and-answer forum. Key Takeaway: The Stack Overflow community is quite robust in its membership, ensuring that questions are answered by multiple experts in a timely fashion. The ranking system ensures that beginners are able to utilize this resource to acquire all of the skills needed to become a software developer. Overview: In addition to its active community forum, The Code Project provides information relevant to aspiring software developers through articles and other resources. Members are able to post articles on relevant subject matter, and the archive is an especially useful resource for beginners. Key Takeaway: Since most of the articles feature actual code examples, beginners have the opportunity to learn many of the techniques needed to excel as a software developer. Overview: A tech accelerator, Village88 ensures entrepreneurs are able to transform an idea into a scalable business. Entrepreneurs, sponsors, and mentors connect through Village88, which reserves its resources for just five startups at any one time. Key Takeaway: With a possible investment of $10,000 to $200,000 in engineering resources available to entrepreneurs over a brief period of time, Village88 asserts that a partnership with the tech accelerator will yield a mutual benefit in relatively short order. Many professional coders are self-taught and take a great deal of pride in their self-taught programming and coding background. Anyone seeking to enter the profession as a self-taught programmer can benefit from the wealth of resources freely available via the internet. In addition to the resources listed below, many top colleges and universities make computer science courses available through Coursera or iTunesU. Overview: A searchable resource, Google’s code repository is of immense value to self-taught coders and software developers. Key Takeaway: The Google Code Project Hosting Service was shut down recently, but, according to Google, the archive still contains more than 1.4 million projects, 1.5 million downloads, and 12.6 million issues, making it a critical resource for all software developers, particularly beginning software developers. Overview: An open-education directory, OER Commons offers access to programming courses from Teachers’ Domain and the Saylor Foundation, among many others. Key Takeaway: The resources available through OER Commons are freely available to all, making high-quality information regarding a wide range of relevant subjects readily accessible to aspiring software developers all over the world. Overview: Aspiring web developers can learn to build a website for the first time through the tutorials made available through WIRED and Webmonkey. This online resource also provides tutorials on a number of other subjects, including web development with HTML5. Key Takeaway: Although Webmonkey.com now redirects to WIRED.com, the tutorials that made Webmonkey so popular among aspiring software developers can still be found through on WIRED’s site. There is a great deal to gain from enrolling in a traditional academic program, and those seeking a career as a coder or software developer should certainly consider applying to a school capable of boasting a highly ranked computer science program. The following colleges and universities are considered the very best in the world, but there are many fine academic programs available through institutions not appearing among those listed below. Overview: One of the world’s most universally respected academic institutions, Harvard University features a computer science program drawing from a diverse array of fields, including physics, biology, chemistry, and electrical engineering, not to mention the university’s revered business and medical schools. Key Takeaway: Consistently ranked at the top of the education rankings for computer science, Harvard’s program offers students access to and experience in cutting-edge and groundbreaking work in all facets of the field, including artificial intelligence, robotics, computational linguistics, and much more. Overview: MIT’s electrical engineering and computer science department is the school’s largest, featuring a faculty composed of many of the world’s leading researchers and innovators in their respective fields. Upon graduation MIT alumni are among the most sought-after professionals in the software development industry. Key Takeaway: Few programs can make the legitimate claim that its students fundamentally “change the world,” but MIT undeniably among the institutions capable of backing up this assertion with ample real-world evidence. Overview: A balanced academic program in which computer science and engineering are equally emphasized, NTU’s program has an international reputation for producing graduates who go on to thrive in a wide range of professional roles. Key Takeaway: Aspiring web developers reap rewarding benefits from NTU’s comprehensive approach to computer science, which features a hands-on approach to learning as well as a clear emphasis in theory, practice, project-based learning, and more. Overview: Known for its lengthy history of innovation and its critical contributions to the field of computer science, Princeton University’s computer science program continues to rank among the top institutions for individuals with software development aspirations. Key Takeaway: Princeton’s computer science program boasts a particularly exceptional reputation when it comes to programming language, theory, and systems. Overview: Stanford’s program has many strengths, including a reputation for innovation and research in the fields of computer science, scientific computing, artificial intelligence, and robotics, among many others. The computer science department is part of the Stanford University School of Engineering and offers undergraduate, graduate, and doctoral degrees. Key Takeaway: Stanford’s sterling academic reputation certainly holds true with regard to its computer science program, as the university has played a key role in critical research, scientific discovery, and innovation in all aspects of computer science. Overview: Tsinghua University emphasizes innovation and exploration with regard to the fundamental and methodologies of information science, and its students stand to benefit from the university’s reputation as one of the world’s leading research institutions. Key Takeaway: Students who value a strong research background will benefit most from an education at Tsinghua University, as the school possesses a reputation as one of the most prominent research and training institutions in the world. Overview: Known for its outstanding faculty and its endless contributions to teaching and research, UC-Berkeley’s electrical engineering and computer science program has cultivated an academic culture in which innovation is the constant emphasis. Key Takeaway: A collaborative environment in which team-driven projects are exceptionally common, UC-Berkeley’s computer science program preaches a cross-disciplinary approach to instruction and research. Overview: Offering undergraduate, graduate, and doctorate degrees in computer science and engineering, the University of California at San Diego features outstanding facilities and an accomplished faculty. Overview: The University of Texas at Austin’s department of computer science is especially renowned for its focus on theory, systems, and programming languages, and the success of its graduates reflects the department’s ability to prepare students for a future in the field of software development. Key Takeaway: Students at UT-Austin are able to tailor their computer science education according to their future professional goals, ensuring they are uniquely prepared and qualified upon graduation from the university. One of the best ways developers can both learn and stay up-to-date is attending skill or industry specific annual conferences. Let’s take a look at some of the top software development conferences available to attend. Key Takeaway: This three-day course is ideal for aspiring software developers looking to benefit from a practical, hands-on learning experience covering Agile software engineering as utilized by Scrum teams. Key Takeaway: A community-driven conference with more than 30 individual sessions on the schedule, the Javantura v4 conference provides a wide range of workshops and meetings pertaining to all Java-related issues and subjects. Key Takeaway: A single-day conference, it is the goal of The Lead Developer to provide attendees with the latest information and insight regarding recent developments in software development. Aspiring software developers stand to benefit from the management/leadership focus incorporated into the conference’s talks and workshops. Key Takeaway: Featuring talks and tutorials, BOB promises to offer software developers access to the new, outside-the-mainstream tools and technologies most ideal for creating new software. Attendees can expect to leave the conference with the kind of information and ideas capable of inspiring future innovative efforts. Key Takeaway: QCon provides conferences and workshops over the course of its four-day schedule, providing critical information for technical team leaders, project managers, architects, engineering directors, and software developers alike. Key Takeaway: Billed as “The Apple Conference With a View,” CocoaConf’s Yosemite conference features sessions with several innovative leaders from the Apple community. Software developers seeking Apple-related insights and information — not to mention the breathtaking views of Yosemite — should consider registering for and attending the 2017 version of the Yosemite conference. Key Takeaway: Through its array of workshops, speakers, and demos, MobCon Europe is organized around the goal of providing software developers with unique insight into the most critical software development trends, thereby inspiring attendees to expand their understanding of a number of subjects, including mobile and web development; UI/UX; virtual and augmented reality; architecture and infrastructure; and artificial intelligence, along with countless others. Key Takeaway: Aspiring software developers keen on learning more about Agile methodologies will benefit most from the Agilia Conference, as the five-day event features over 40 presentations and eight workshops covering a wealth of Agile-related subjects. 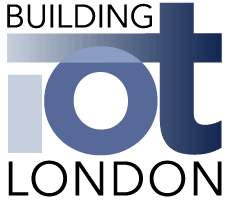 Key Takeaway: As its name implies, Building IoT London is focused on all subjects related to the Internet of Things, with an added emphasis on security. With sessions and presentations designed for software developers of all experience levels, including beginning and aspiring software developers. Key Takeaway: The two-day Flink Forward San Francisco conference is focused entirely on Apache Flink, with the goal of connecting members of the Flink community and stimulating a greater degree of innovation and discourse among software developers of all experience levels. Key Takeaway: The two-day CocoaConf event features keynote speakers, general sessions, and breakout tracks, all of which focus on macOS, iOS, and Swift. The 2017 schedule currently includes sessions on Swift memory layout, Firebase, test-driven development, buffers, encoders, and command queues, and countless others. Key Takeaway: Craftsmanship and collaboration are points of emphasis at the Peers conference in Seattle, where attendees learn about new and practical ideas and solutions regarding web and software development. Key Takeaway: With six different three-day workshops available to attendees, aspiring software developers can select the ideal program — which includes Angular 2 Fundamentals, Creating Software Architectures, and Microservices in Practice, among many others — based on their own personal needs and preferences. Key Takeaway: Featuring more than 50 sessions over the course of the three-day event, Riga Dev Days 2017 provides attendees with tremendous insight into Java, Open Source, Web and flexibility. Organized by Oracle User Group Latvia, Java User Group Latvia, and Google Developer Group Latvia, Riga Dev Days also offers an online option for those who cannot attend the event on location in Latvia. Key Takeaway: Software developers seeking a deeper understanding of Continuous Delivery, DevOps, the Docker ecosystem, and containerization principles stand to gain a great deal from the comprehensive approach favored by the Continuous Lifecycle London Conference. Key Takeaway: With workshops, peer sharing, networking, and both editorial and sponsored presentations, the practitioner-driver QCon New York is ideal for those interested in just about any subject related to software development. The 2017 event in New York is scheduled to include a wide range of information, and previous events have featured enlightening tracks on major architectures as well as commoditized machine learning, running containers in production, and optimizing an open-sourced .NET. 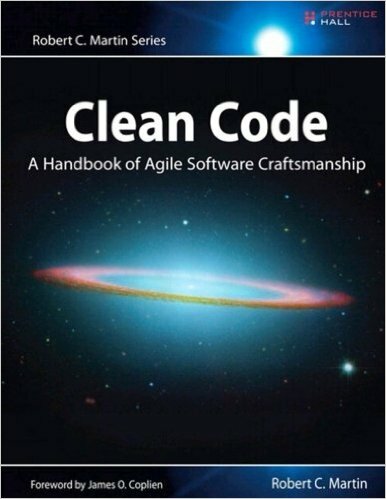 Overview: Broken down into three distinct sections, “Clean Code” begins by delineating the key principles for writing clean code and then provides case studies demonstrating how to clean up existing code. The final section provides a review of the heuristics derived from the previous section’s case studies, ensuring that readers are able to understand how to consistently produce clean code. Key Takeaway: “Clean Code” is a must-read for aspiring software developers, as it is a practical and useful resource for anyone with a desire to produce outstanding code. Overview: Long regarded as one of the best and most practical programming guides, the second edition of “Code Complete” has been updated and revised to include current best practices along with a wealth of new code examples. 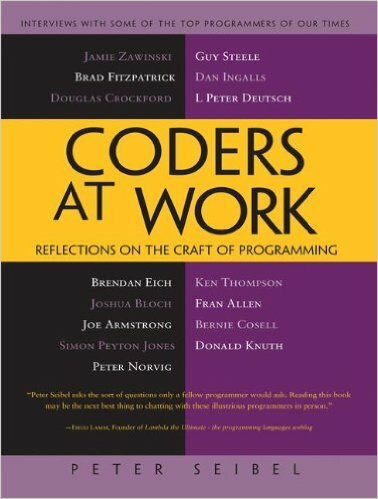 Key Takeaway: Beginners should strongly consider reading and re-reading this encyclopedic volume on software development, as the 900+ pages include all the information necessary to create a strong professional foundation on which to build. 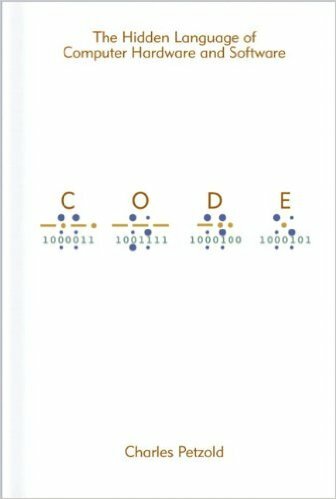 Overview: In “CODE: The Hidden Language of Computer Hardware and Software,” author Charles Petzold provides the context necessary to better understand the unique language utilized in computer hardware and software. Key Takeaway: For those new to software development, there is real value in gaining such a robust understanding of the many subjects associated with the language of computer hardware and software, including memory, machine code, and programming languages, among many others. 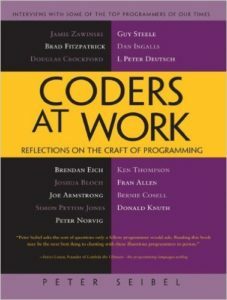 Key Takeaway: Aspiring software developers will appreciate the insight into the day-to-day aspects of a career in the field of programming, but the real benefit of this book lies in the wealth of information revealing how each of the 15 interviewees learned to maximize their own programming skills, as well as what it is about programming that is most intriguing to each individual. 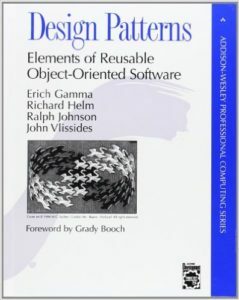 Overview: Using a wealth of examples, “Design Patterns: Elements of Reusable Object-Oriented Software,” demonstrates how patterns influence design in software development as well as how patterns provide timeless and ideal solutions for many issues commonly encountered during the software development process. 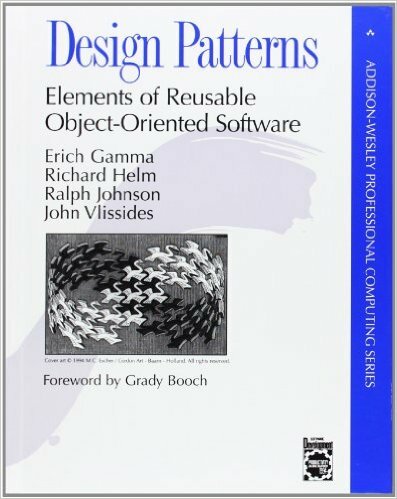 Key Takeaway: Although appropriate for beginners, “Design Patterns: Elements of Reusable Object-Oriented Software,” assumes the reader already possesses a baseline understanding of object-oriented software technology and design. 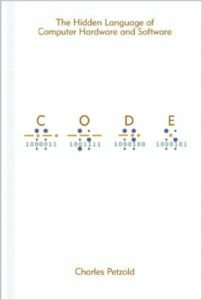 The book is an excellent resource for readers seeking the “simple and elegant” solutions design patterns provide when working with object-oriented software. Overview: A classic text that is surely recognizable to the overwhelming majority of programmers currently working in the field, the second edition of “Programming Pearls,” offers a new generation of readers access to the problem-solving skills needed to succeed in software development. 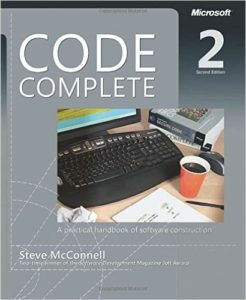 The second edition makes use of updated code examples in C and C++ and challenges the reader to solve common programming issues by applying the principles and practices discussed in each chapter. 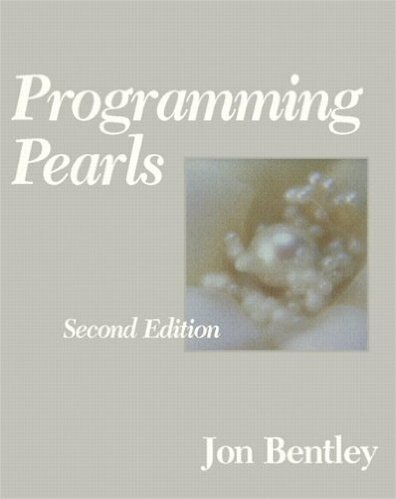 Key Takeaway: Aspiring software developers will benefit from the sheer breadth of information provided in the updated second edition of “Programming Pearls.” Although the book’s primary focus is on algorithms and coding techniques, a number of relevant topics are discussed with a great deal of depth, featuring everything from basic programming concepts to requirements gathering and performance tuning. 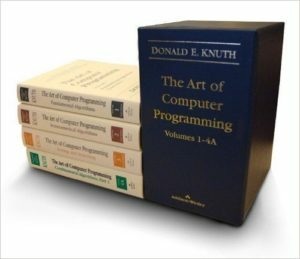 Overview: “The Art of Computer Programming” is, by leaps and bounds, the most well known text available to programmers, and all four volumes (“Fundamental Algorithms,” “Seminumerical Algorithms,” “Sorting and Searching,” and “Combinational Algorithms”) contain vital and still-relevant information concerning all aspects of software development. Key Takeaway: One of the most useful texts a software developer will ever encounter, beginners can find an endless supply of solutions to common, everyday programming problems in “The Art of Computer Programming,” but most would agree that these volumes are influential on a much deeper level and will prove to be endlessly valuable time and again over the course of a career in software development. 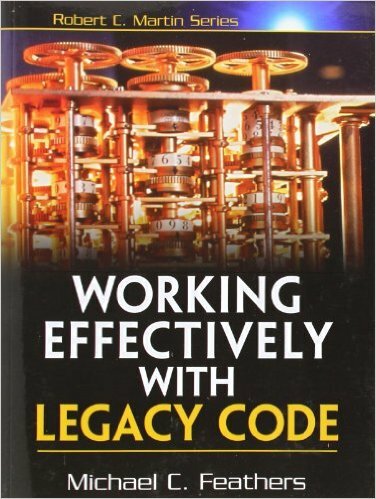 Overview: Promising better performance, manageability, functionality, and reliability when dealing with legacy systems, “Working Effectively With Legacy Code,” provides readers with practical, comprehensive strategies designed specifically for legacy code bases. 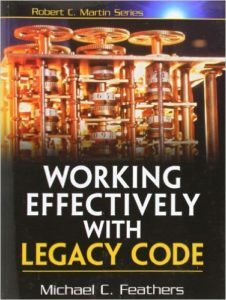 Key Takeaway: “Working Effectively With Legacy Code,” includes examples from a host of different platforms and languages, including C, C++, C#, and Java – among others – making it much simpler for beginning software developers to better understand how to add new features, enhance performance, fix bugs, and improve design when working with legacy code. Overview: developer. * is an online publication and book publisher that provides articles, blogs, essays, interviews, reviews, and discussion for anyone interested in programming, software architecture, QA engineering, database design, research, and more. Key Takeaway: developer. * is a unique and independent online publication in which newcomers to the field can find a wealth of interesting information regarding just about any subject relating to software development. Overview: One of the most popular and thorough online publications on software development, Dr. Dobb’s continues to house an archive filled with exceptional and relevant information regarding a variety of subjects, including .NET, JVM Languages, and C/C++, just to name a few. Key Takeaway: Despite the fact that the magazine no longer actively publishes new articles, there is a great deal to be gained from a review of the information contained in the archive. Beginners stand to particularly benefit from the incredible breadth of this vital resource, even if it only exists in the form of an archive. Overview: Formerly a network of 25 different magazines, PHPMagazine.net now exists as a single online magazine focusing on the PHP programming language as well as technologies relating to web application development. Overview: BZ Media’s flagship is Software Development Times, which was the first and only newspaper for the software development industry. Key Takeaway: SD Times transitioned to a monthly magazine format to serve its readers in the software development industry with in-depth news and trend analysis. The publishing company behind SD Times began producing technical conferences and trade shows in 2004. In 2014, BZ Media produced 7 events, including the largest Android developer, Wearables technology, and independent SharePoint conferences in North America. Overview: Focusing on issues related to coding, design, mobile, wordpress, and more, Smashing Magazine has long attracted a healthy audience of professional web designers and software developers. 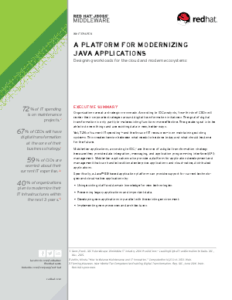 Overview: Published by IBM in July of 2015, this White Paper covers software-defined environments, or SDEs, and discusses the inherent challenges associated with delivering high-quality software applications at the speed the market so frequently demands. Key Takeaway: Those new to software development must gain an understanding of the many external pressures that exist in the marketplace, many of which can negatively affect software quality if developers are unable to contend with these pressures in a productive fashion. Overview: Published in October of 2016, this White Paper discusses the many resources available for modernizing existing Java applications. Key Takeaway: Java-based applications continue to be fundamental for enterprises, and it is necessary that aspiring software developers understand how to create new, versatile platforms that continue to support all existing applications. Overview: In this White Paper, CollabNet discusses the manner in which Agile software can be reinforced and enhanced by enabling users to access it through the Cloud. 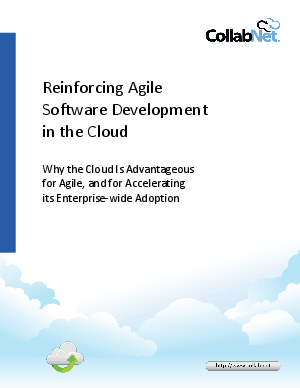 Key Takeaway: Aspiring software developers should understand the many ways in which an environment like the Cloud can enhance or reinforce an already powerful and popular software such as Agile. 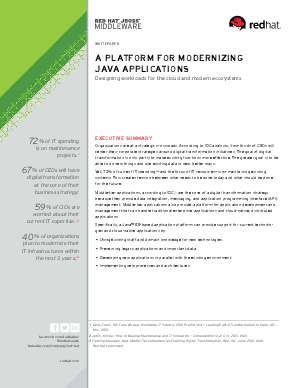 Overview: In this White Paper published by Izenda, the costs associated with analytics requirements in .NET applications are subjected to in-depth analysis and review. Key Takeaway: Since software developers are often charged with decisions or tasks that will drastically alter a project’s cost efficiency, it is critical that new developers recognize efficient and inefficient practices well in advance. This paper reviews an example in which such a decision proved costly while also failing to provide any tangible benefit to the project. 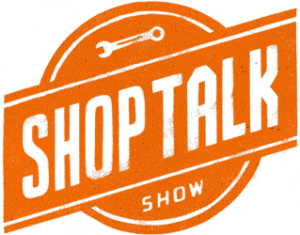 Overview: Scott Hanselman, a programmer, teacher, and speaker, is the host of this podcast in which technology’s “movers and shakers” are interviewed in 30-minute segments. Hanselman’s other podcasts – “This Developer’s Life,” “Ratchet & The Geek,” and “Azure Friday” – are also worth a listen. 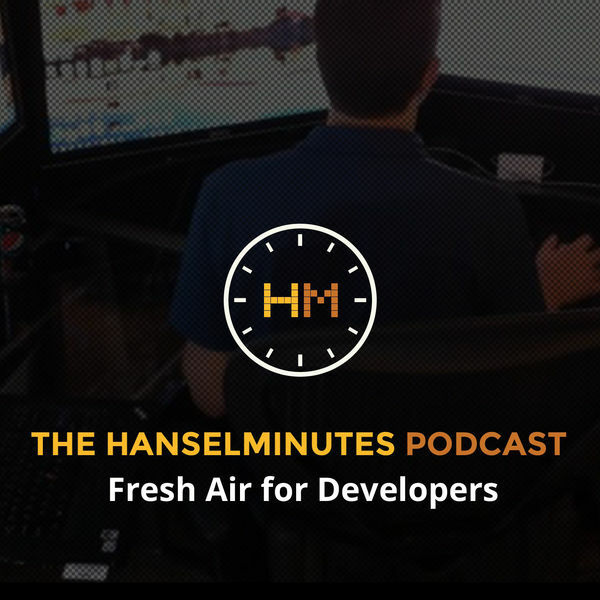 Key Takeaway: Hanselminutes offers new developers an inside look at the diverse perspectives responsible for so much of the recent innovation that has occurred in the field, and the podcast itself is always entertaining and engaging for anyone even remotely interested in the world of software development and technology in general. Overview: Herding Code’s hosts — K. Scott Allen, Kevin Dente, Scott Koon, and Jon Galloway — keep each podcast relatively brief and focus on topics of particular interest to hackers and developers. 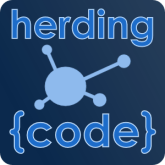 Key Takeaway: Herding Code’s format and focus is ideal for aspiring software developers, and the podcast often features interviews with accomplished developers who discuss relevant subjects with incredible depth. 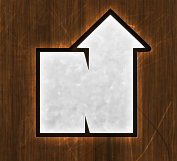 Overview: As its name implies, the NodeUp podcast primarily focuses on subjects relating to Node.js, with hosts Rod Vagg and James Kyle providing an irreverent take while talking with a variety of guests during each episode, most of which range from 30 to 60 minutes in duration. Key Takeaway: An entertaining and informative podcast on Node.js, aspiring software developers can learn a great deal by listening to the nearly 200 episodes available through NodeUp’s extensive archive. Overview: Hosted by Chris Albon, Jonathon Morgan, and Vidya Spandana, Partially Derivative covers all manner of subjects on data and data science — among other things — in an entertaining and enlightening way. 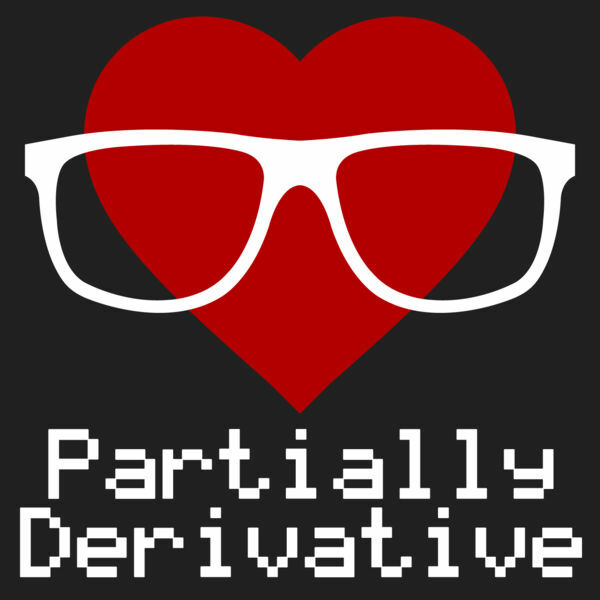 Key Takeaway: The goal of Partially Derivative is to not only inform the listener about all things relevant to data science, but to do so in a way that is engaging and fun. Software developers should enjoy listening to this podcast and will come away with a much deeper understanding of the subject of data science. Overview: Featuring panel discussions primarily focused on Ruby-related subjects, The Ruby Rogues podcast is available on a weekly basis and often includes conversations with some of the industry’s most notable programmers. 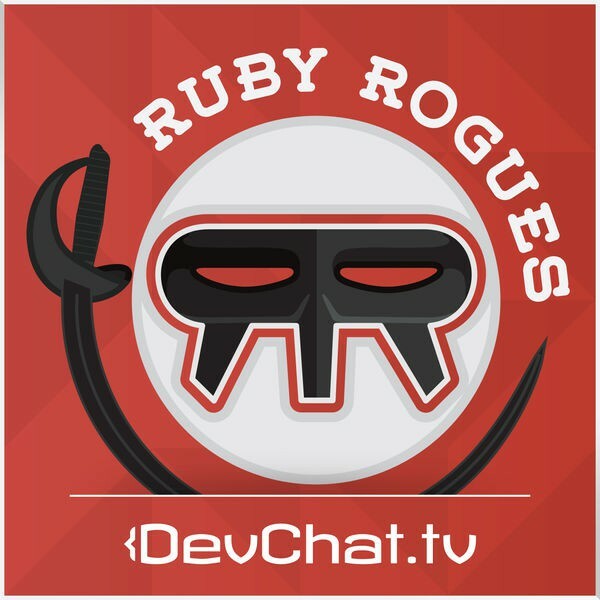 Key Takeaway: The Ruby Rogues podcast — as well as the many other podcasts that fall under the DevChat.tv heading — intends to provide new and aspiring software developers advance their careers through vital information and advice. Overview: Covering front-end web design, UX, and development, The Shop Talk Show is a popular podcast among software development professionals and boasts an archive with nearly 250 episodes. 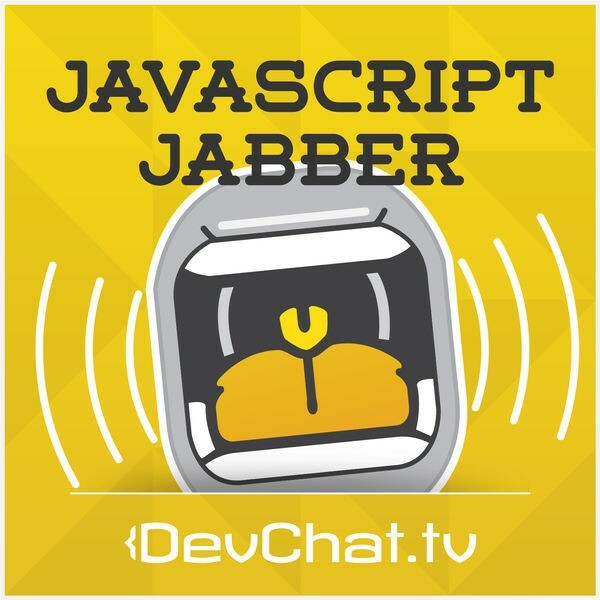 Key Takeaway: Dave Rupert and Chris Coyier host this weekly podcast, and each hour-long (or thereabouts) episode provides excellent and valuable information for anyone interested in learning more about front-end development. 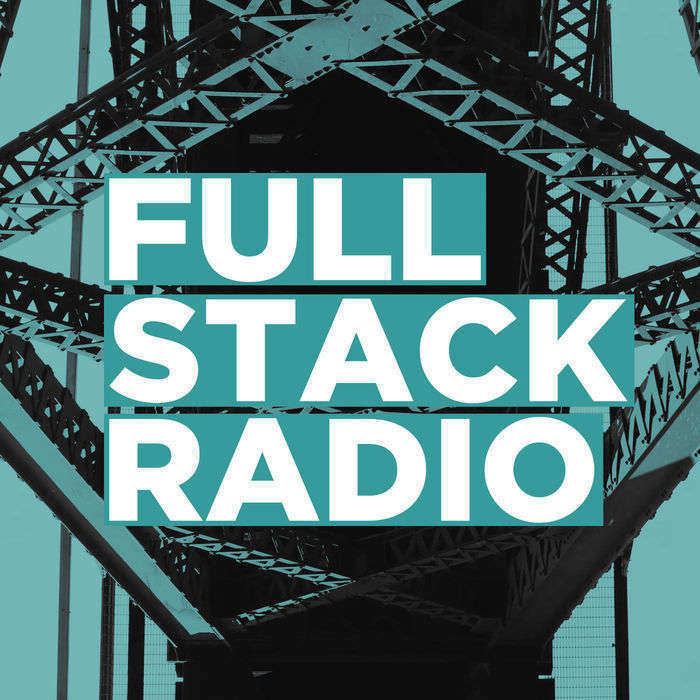 Overview: Billed as “the podcast for professional software developers,” Software Engineering Radio is designed with the goal of providing listeners with a useful educational resource to which they can return to again and again. Key Takeaway: An outstanding resource for all software developers, Software Engineering Radio’s format makes it particularly valuable to those seeking an informative educational podcast covering all subjects relevant to software development and software engineering. 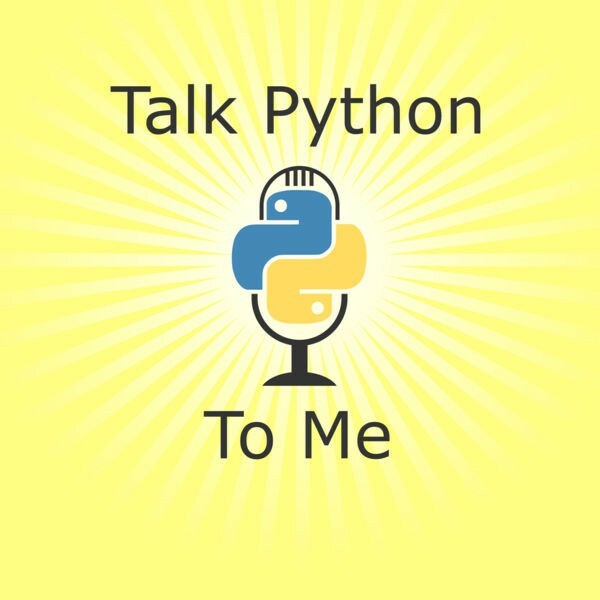 Overview: As suggested by its name, “Talk Python To Me,” is a casual and entertaining podcast mostly focused on subjects concerning Python and any other relevant technology. Key Takeaway: Aspiring software developers who are particularly interested in Python, AngularJS, DevOps, or MongoDB — among countless others, of course — will find a great deal of relevant information by listening to “Talk Python To Me” on a regular basis. Overview: A casual yet informative podcast, Techzing provides two episodes per week: a midweek episode featuring an interview with any number of interesting individuals in the technology industry; and a weekend, “anything goes” episode in which the hosts — Justin Vincent and Jason Roberts — discuss any number of topics on technology and startups. Key Takeaway: Techzing’s hosts do a great job of entertaining and informing listeners while discussing the subjects most pertinent to software developers as well as professionals across all positions in the tech industry. Overview: A podcast perfect for developers interested in building great software products. Every episode, host Adam Wathan is joined by guests like Kent Beck where they’ll discuss a single topic in detail. Key Takeaway: Casual and informative, Wathan’s podcast focuses on how to build great software products. Previous topics covered include adhering to simple design, how to market your products and code architecture products. The one con is that they only release two episodes a month. Key Takeaway: One of the co-founders of The Pragmatic Programmers, Andy Hunt has long been an authority on Agile as well as a number of other subjects relevant to new and experienced software developers alike. In addition to his blog and Twitter account, Hunt’s books (“The Pragmatic Programmer,” “Pragmatic Thinking and Learning: Refactor Your Wetware,” and “Practices of an Agile Developer,” as well as several others) are also very much worth reading. Key Takeaway: With so many prolific contributors and posts dating back to 2005, Ajaxian has covered well over 100 subjects — all of which are quite relevant to software developers — including everything from accessibility to YUI. The blog archive is sorted according to the specific topic, making it an easy-to-use resource for aspiring software developers. Key Takeaway: Brian Hayes, the founder of bit-player and a senior writer at American Scientist, offers an in-depth review of subjects concerning computation and mathematics. Featuring data-driven analyses and an array of topics ranging from biology to technology and everything in between, Hayes’ blog is a must-read for anyone interested in mathematics, computation, and more. Key Takeaway: An expert on all things Agile as well as on the Theory of Constraints, Clarke Ching has authored several unique books on Agile, including “Rolling Rocks Downhill,” which, according to Ching, is odd due to the fact that “(a) it never mentions the word Agile; (b) it doesn’t preach at you and; (c) it helps you understand the strategic/business benefits of agile, not just the mechanics.” New software developers will surely appreciate Ching’s entertaining and informative style of writing. Key Takeaway: Recognizing the human element that is always at play in the world of coding, StackExchange co-founder Jeff Atwood has been publishing interesting and informative posts on his blog, Coding Horror, which covers diverse topics, including software development, security, and the people behind the development process. Atwood founded the blog in 2004, and he is quite sincere in his belief that the blog changed his life and enabled him to achieve the many professional accomplishments that followed. Key Takeaway: Eric Sink’s insights are a must-read for any aspiring software developer, as the current SourceGear software developer formerly served as the project lead at SpyGlass, where his team created the original versions of what is known widely known as Internet Explorer. Sink’s blog is filled with useful information on a wide range of topics, including, of course, software development, but also featuring exceptional insight and analysis on other critical but oft-overlooked subjects like business and marketing. Key Takeaway: Although Brian Marick’s blog is no longer active, the archive remains accessible and is very much relevant for any software developer seeking information regarding Agile software development and especially the manner in which testing can be best incorporated into the developmental process. The same can be said for his Twitter account, which typically features Tweets on example-driven development, Ruby, testing, and, of course, Agile software development. Key Takeaway: The co-founder and CEO of Stack Overflow, Joel Spolsky has maintained his blog, Joel on Software, since 2000. The sheer longevity of Spolsky’s blog means that the archive is simply loaded with vital information concerning any number of subjects sure to be of interest to anyone new to the field of software development. Key Takeaway: A consultant and tech leader based out of Alberta, Canada, Jonathan Kohl’s blog often discusses some of the more practical aspects associated with a career in the software development field, offering unique and useful insight into some of the issues new software developers will likely encounter as they begin a career in the technology industry. Key Takeaway: A hybrid blog/wiki, Martin Fowler refers to his website as a “bliki,” a term coined by Ward Cunningham that aptly describes what aspiring software developers will find upon visiting martinfowler.com for the first time. With articles, videos, news, and guide pages, Fowler’s “bliki” remains a vital resource for all software developers, especially those interested in design, refactoring, Agile, and more. Key Takeaway: A programmer, writer, and investor, Paul Graham started Paul Graham’s Essays back in 2001, covering an incredible range of subjects that often extends well outside of the world of software development. A co-founder of the Y Combinator, Graham’s startup incubator has funded countless startups, including household names likes AirBnB, Reddit, and Dropbox, among others, so it’s safe to say that Graham’s essays — regardless of the subject — are worth checking out. Key Takeaway: New software developers will benefit from the wealth of instructional and how-to posts featured on pontikis.net, especially with regard to subjects concerning specific frameworks and languages. MySQL, PHP, and jQuery are among the many topics tackled by Christos Pontikis, and readers will be sure to appreciate the convenience of the regular posts covering all the latest business and technology news. Key Takeaway: Perhaps one of the more interesting programming approaches is the one developed by Dave Thomas, who created “CodeKata,” which advocates continual efforts regarding education as well as a specific mindset for purposeful coding. Of course, Thomas’ blog also features a great deal of straightforward articles detailing recent development news as well as guides, advice, and tutorials on all aspects of software development. Key Takeaway: Featuring news, analysis, and how-to guides, ProgrammableWeb mostly covers subjects pertaining to API, making it an excellent resource for all aspiring software developers. ProgrammableWeb is dense with information and often publishes as many as 10 new posts per day, so new software developers can learn quite a bit from regularly visiting this API-focused blog. Key Takeaway: The author of several popular books on an array of subjects that include creativity, philosophy, innovation, design, management, and more, Scott Berkun is able to draw on his vast experience in management with WordPress and Microsoft to help software developers of all skills levels improve not only in their professional programming endeavors, but also in their personal endeavors. Key Takeaway: Featuring posts on all manner of subjects relevant to coding, technology, innovation, software development, culture, and more, Scott Hanselman’s blog is one of the most comprehensive of all. Hanselman also runs several other blogs and podcasts, making a wealth of information available to new software developers through a variety of different formats, all of which are as entertaining as they are informative. Key Takeaway: With the benefit of a tremendous amount of industry experience, Kevin Rutherford is able to offer keen insights on any number of software development subjects. Although the blog covers just about every subject imaginable, Silk and Spinach often features posts pertaining to Agile development, Ruby, and hexagonal architecture, among many others. Key Takeaway: A tech consultant and entrepreneur, Eric D. Brown is a data science expert whose blog often focuses on the intersection between technology, data, and marketing. New software developers can learn a great deal from the broad perspective espoused by Brown through his blog posts on Technology, Strategy, People, & Projects. Key Takeaway: Irreverent and informative all at once, The Daily WTF provides a look at some of the most spectacular failures from the world of software development while still providing genuinely useful information all developers find valuable. Key Takeaway: A critical industry resource featuring topics relating to UI and UX development, UIE Brainsparks provides informative blog posts, podcasts, articles, and much more, all of which are especially beneficial for newcomers to the software development industry. Wow, that’s a pretty comprehensive list. Thanks a lot. I’m just amazed at how much time you spent to prepare such a complete and very useful list with a lot of useful links. I am very impressed because of the site content. There are a lot of useful tips and lists, which help me with my blog. Thank you for sharing! As for me this information could be more understandable. I can not understand some issues mentioned in this article. But, anyway, thank you for sharing. You have created just a great list of resources that will help you understand all the issues of creating software. Great resource. I will share this article of yours to my students. It will help them to learn new things. Its a very nice and informative post. thank you for sharing.!! Very cool and comphensive looking list. Python, Web, Agile Cloud. But I have to say, you’re missing one entire category, SECURITY. Thanks for the suggestion! We’ll put it on our list for a follow-up post. thanks for the info. i’ll check it one by one.